So once again here's a thread for us to share what our current desktop wallpapers look like. For now I'm using this cute Ah My Goddess one I used before with Urd, Bell, and Skuld in their pjs. I think they look cute together in it. 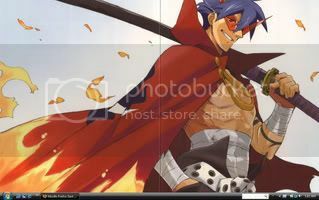 I currently have kamina from gurren lagann as my wallpaper. The picture is a dvd cover with him on it. Thanks. I thought it was sweet having them all together like that. Especially with Skuld laying her head on Bell's legs. It's a painting of a scene from the 2007 expansion for Final Fantasy XI Online: Wings of the Goddess. 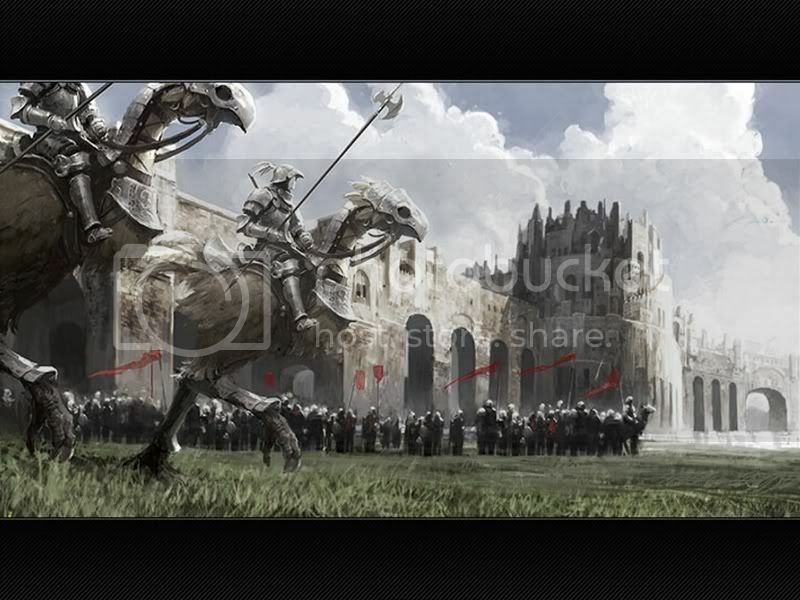 I had to capture it from a flash presentation preview of the game, it's the only place I've seen that particular image. For a flash image it still looks surprisingly nice even scaled up to 1024x768. wow I thought it was final fantasy 12... the judge looking characters and all. That's about the only time I've seen chocobos not look stupid and idiotic lol. Zanarkand Princess wrote: wow I thought it was final fantasy 12... the judge looking characters and all. They just recycled the character designs from FF XI to FF XII. EDIT: Changed it to a link 'cause it takes too much space. Psycho 101 wrote: OMG for the win!!!! Knew you'd like that one Psycho. 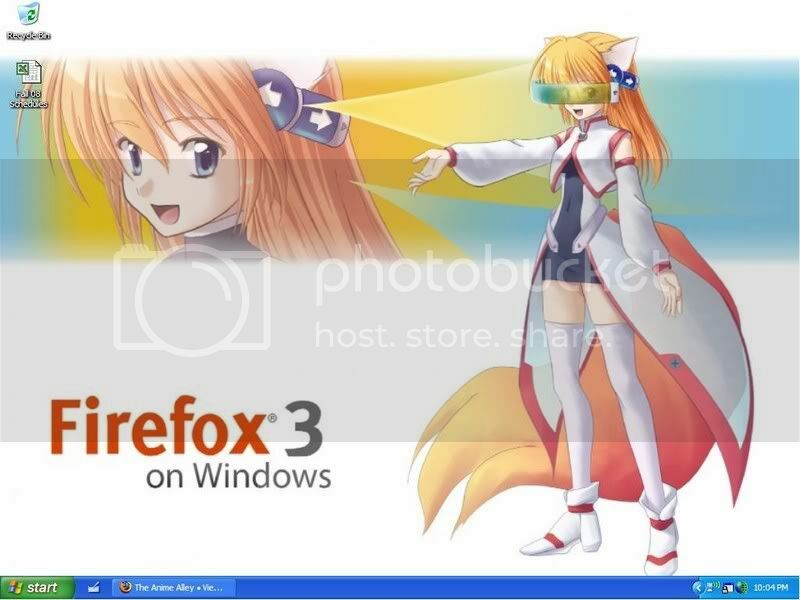 Found this image a couple months ago and thought it was appropriate to use as a background after deciding I couldn't stand IE any more. To quote Bobby Boucher's momma "IE is the devil!!!!" Well I am using this lovely wallpaper from the site Pasta listed. I really like whales so I like this one a lot.